Gujarat is indeed a coastal state as it shares a 1,600km long coastline with the Arabian Sea. So, it is quite natural for the state to have cities and towns that are characterised by a shoreline. Jamnagar is one such city that lies in the Gulf of Kutch and is home to many pristine, unspoilt beaches that provides the tourists and travellers the perfect ambience to unwind and refresh. Before you pack up and prepare to depart from Dwarka, buy locally made handicrafts, textile items, and knickknacks used during offering prayers. You can bet memories of your trip to Shivrajpur beach and other attractions in the vicinity will stay with you for a lifetime. One simply gets carried away by the sheer magnificence of the surroundings of the several seacoasts flanking the 42 islands in the Kutch region. The beaches on the islands of Pirotan, Dabdaba, Positra, Madhi, and Balachadi pull in visitors from all corners of the world. 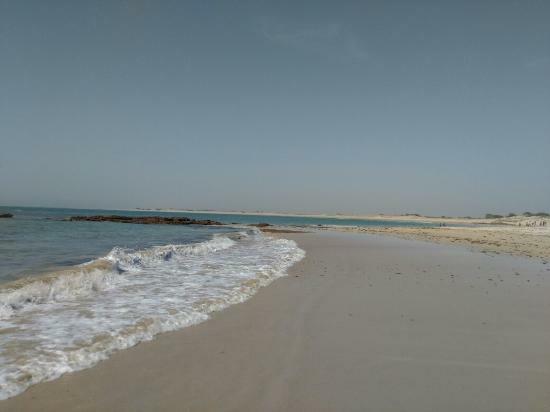 Shivrajpur Beach is one such seashore in Jamnagar that is situated close to Dwarka that attracts tourists and vacationers in droves not only because of its tranquil atmosphere but also because it offers everybody a chance to spot exotic migratory birds and sporting dolphins. The beach has been one of the most non-commercialized beaches in the region. Being a place that has a number of Royal Palaces in the nearby cities of Porbandar, Bhavnagar, Junagarh, etc. has offers some of the best views of the clean blue ocean water. 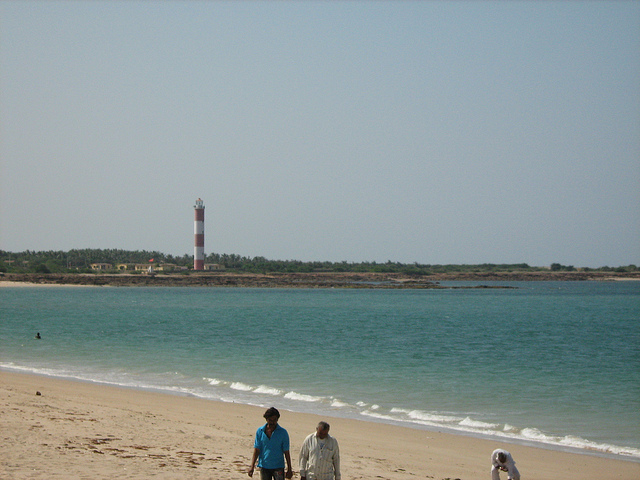 In 2009, the Government of Gujarat had initiated a project to develop this beach as a beach resort and convert the place as one of the best beaches in the region. Take your time in soaking yourself in the ambience of the beach. Go for a long walk ambling up to the lighthouse at one end. Making Dwarka your resting base will allow you to plan your tour conveniently. Starting from Dwarka, you’ll find it convenient to visit Dwarkadhish Temple, Beyt Dwarka, Poshitara Island, Pirotan Island, Marine National Park (Jamnagar), Nageshwar Temple, Lakhota Palace, Khijadiya Bird Sanctuary, and many other sightseeing attractions. The distance of Shivrajpur beach from the township of Dwarka is 10km and flanks the state highway 6A in the direction of Okha pier-the departure point for heading to Beyt Dwarka. The seacoast is also accessible from Jamnagar and Govardhanpur airports. If you want to fully enjoy the sights and sounds in and around Shivrajpur beach without getting unduly exhausted, then schedule a tour during the months of October, November, December, January, and February.